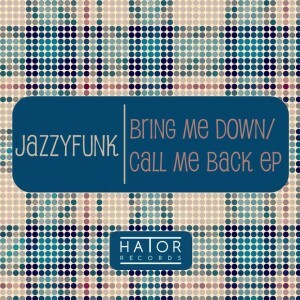 HatorRecords proudly presents new EP by JazzyFunk. JazzyFunk is an experimental Indie Dance / Nu Disco / Deep House Band and with Funky and Soul influences. It was formed in 2009 by a collaboration with Macs Cortella (dj/producer) and Filippo Perbellini (singer/musician). The concept is based on customizing the live show with a full involvement with the audience, making it a complete performance experience. All tracks are reworked and re-edited with what they call, “JF Mix” overlapping electronic effects and loops with live musical improvisations. Collaborations with female vocalists and sax and percussion musicians allow us to have a great variety of sounds to expand and amplify our live experience.